Shortages and time-critical demand have historically been associated with high-service sales and exceptionally high prices. This is not the WIN SOURCE approach. On our site, buyers find consistently competitive prices, in line with or lower than other online worldwide leading distributors or online superstores.We have three own warehouses in Shenzhen, Hong Kong and Philippines, more than 750 m². Depending on taxation preference policy in Hong Kong, we acquire powerful competitive prices among worldwide distributers by purchasing electronic components all over the world to our Hong Kong warehouse. Hot-sale products means that buyers always have a great quantity in this parts .In other words, a more competitive price can effectively reduce procurement cost. To satisfy this requirement, WIN SOURCE built professional elite teams to investigate market requirements at every moment, providing our Marketing Department with accurate information to procurement. By a large number of purchases, customers can acquire a more competitive price and a long-term available inventory.Relying on our professional elite teams to investigate market requirements at every moment, we have precision calibration in the market to guide us procurement. On the basis of investigation, we tend to do large volume purchases to acquire lower prices. Based on our customer-focused business philosophy, WIN SOURCE pays more attention to hot-sale and hard-to –find (EOL) electronic components, which mean that you can have more competitive prices in hot-sale products or acquire authentic and reliable sources in hard-to–find (EOL) parts by WIN SOURCE. Rather than subjecting customers to time-consuming, risk-filled worldwide searches in scarce(EOL) electronic components , we instantly connect available inventory with each customer’s shortage in their moment of need, before they reach out to brokers and less reputable supply chain partners. We understand the importance of scarce or end-of-life products. Maybe it is the key component in repairing a music box with marvelous memories .Maybe it is an indispensable part in your crazy invention. Therefore, we create our own hard-to-find inventory, purchasing scarce and available components from different districts. Whether you’re in quest of reducing extended lead times or to locate obsolete, and/or end-of-life electronic components, semiconductors, and other difficult-to-locate electronic components, WIN SOURCE has the supply-chain expertise to resolve your material shortages.At the same time，we also offer cost-effective alternative solutions of electronic parts. WIN SOURCE is trustworthy distributor for buyers looking for original and authentic parts. We believe, customers want to confirm their toys – and their airplanes and their heartbeat monitors – are made with components of incredibly high quality. Nowadays, in spite of sophisticated IT tools and unprecedented visibility among supply chain partners, subpar or counterfeit still confound the industry. Some unused inventory passes through sales channels that aren’t compliant with industry traceability, handling and quality control standards. How do we confirm our products’ authenticity and originality? The formal supply chain of the products：The source of components has a direct influence on parts’ quality. Therefore, WIN SOURCE always strictly selects our reliable supply partners .Only high-standard distributers who conform our incredibly high suppliers’ standard, such as manufacturers, franchise distributers, OEMs, CMs, independent reputable distributors, can be the partner of our strict supply chain. WIN SOURCE powerful testing center：Relying on the resources of the parent company, since its founding, WIN SOURCE already possesses a whole complete and strict set of testing standard, applies the most advanced inspecting equipment, and has knowledgeable field application engineers, dedicating to vetting all component sources and products. All of the components are shipped to WIN SOURCE Quality Testing Center where they are inspected and their provenance verified (BY our 200x magnification, X-ray and Acetone Verification Testing, etc ),before entering inventory and being shipped to the end-customers. 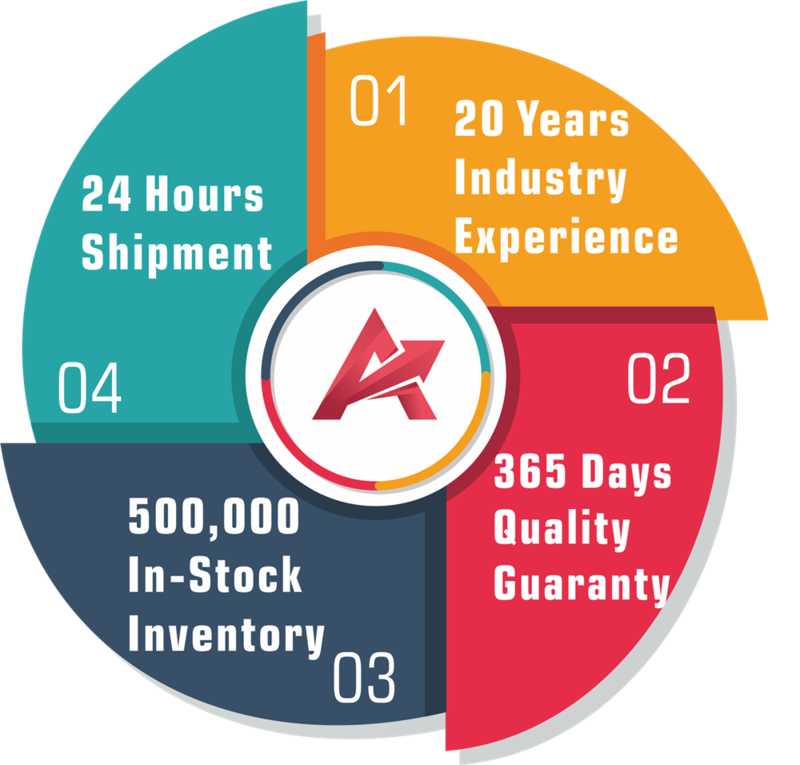 Parts in stock are available for immediate delivery .At any given time, more than 500,000 products are in stock and ready to be shipped from WIN SOURCE warehouses. That means there are no lead times for in-stock products. There are any problems with the products we delivered, such as a deficiency in quantity, delivery of wrong items, and apparent external defects (breakage and rust, etc. ), and we acknowledge such problems. We are informed of the defect described in above within 365 days after delivery of products. The product is unused and only in the original unpacked packaging. To ensure transparency, we publish prices alongside all the necessary details that buyers need in order to make informed decisions, and the availability is refreshed as often as every 10 minutes, including part details, cost, datasheet,quantity,etc.If you need more datasheet information,please click here : http://www.alldatasheet.com. The best-in-class search engine enables you to find and buy parts quickly and easily. A suite of online tools helps boost your productivity and more effectively manage your specific account information. *BOMs Buyers can upload Parts List to get Stock Info(Quantities ,Multiple Price Breaks, Availability/Lead-Time, Manufacturer, etc.) and download to Desktop Quotes. *RFQs Buyers can be answered almost immediately and production cycles continue to contract. Our vertical system of enterprise structure ,combined with our highly competitive and professional teams, including our colleagues from Administrative Department, Quality Control Department, Technology Department, Human Resources Department, Sales Department(Online and Line),Financial Department, Logistics Department and Warehouse Department, are all facilitating our company to create unlimited quality services to our customers covering whole supply chain.